The Perot Museum has opened submissions for 2018 FIRST LEGO League INTO ORBIT Team Hardship Grants. These Team Hardship Grants are designed to aid teams that would otherwise be unable to participate in FIRST LEGO League without some assistance. 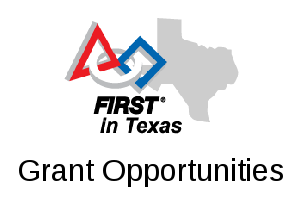 The North Texas Region is allowed to submit one team for this grant. Each team accepted to receive a Hardship Grant will receive funding to cover the FIRST LEGO League Registration Bundle, which includes season registration and a 2018 INTO ORBIT Field Kit. Teams that have already paid part or all of their 2018-19 registration fee or that have received funding via other means are not eligible for this grant. To apply, please fill out the application form by noon on Friday, July 20th. This is the deadline for the first cycle of the grant; a second grant cycle will open on August 7th. For questions or more information, contact Kelly Goodner at the Perot Museum of Nature and Science.